Summers are not meant to be spent hiding away from the blazing sun, finding excuses to remain indoors and breathing in humid air. We give you a reason to take a break from the terrors of city life and let loose among the hills. 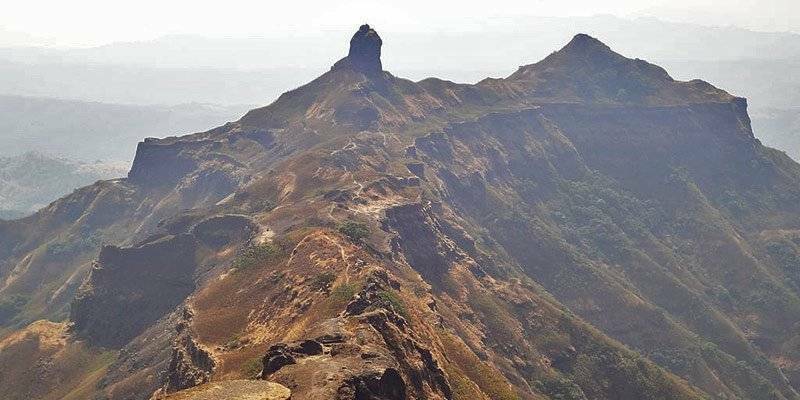 Maharashtra has a plethora of options of Treks around Mumbai and Pune that make perfect one or two-day visits, which will enable you to let off some steam and get the adrenaline pumping. Tie your laces tight, pack the rucksack, sip on some water and hail the hills! 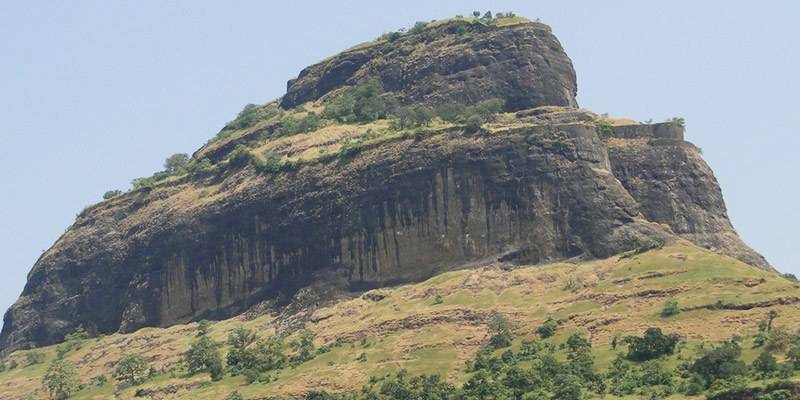 Best known for its trekking and rock climbing route, the Purandar fort holds major significance in the Shivaji realm. The climb is not too steep, and takes about three and a half hours to complete. After viewing its famous monuments and structures, you can breathe in the scenic view of the surrounding areas, bringing the trek to a satisfying end. The majesty of the structures is sure to make the trek worthwhile. 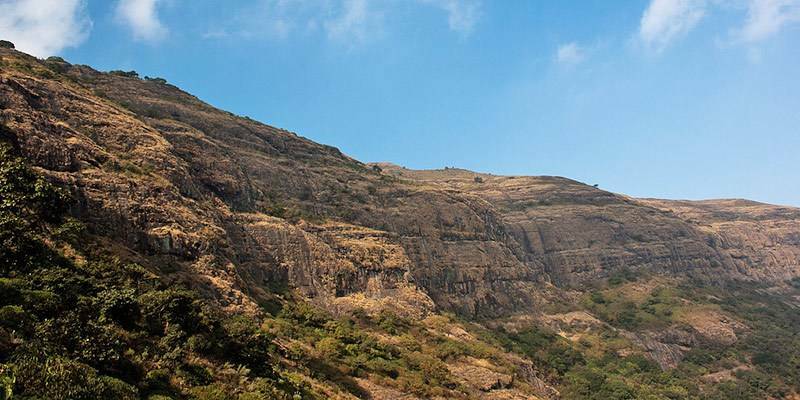 One of the most popular trekking grounds, Loghagad Fort is a pleasure to visit at any time of the year. The climb is easy, however, tends to get slippery during monsoons. During the rainy season, the fort gets enveloped by mystical mist and blooming plants and flowers. You can watch monkeys jumping around, gaze at the surrounding scenery and interact with villagers at the base. Perfect for a one day picnic, the Lohagad Fort welcomes people of all ages. 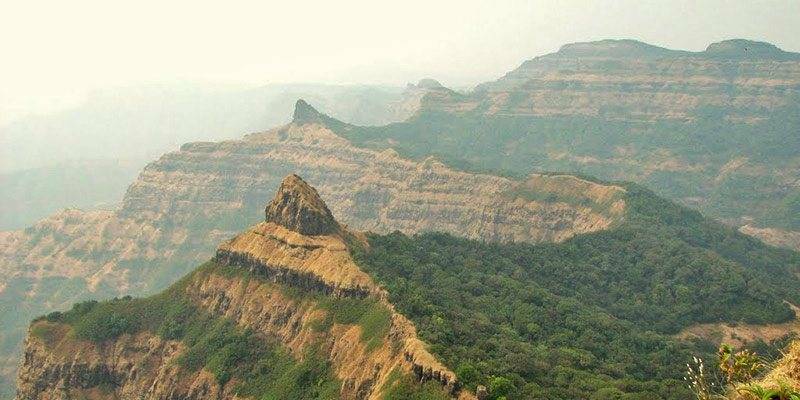 Settled atop a tall plateau, Prabalgad Fort offers an ideal one-day outing from Mumbai to cool off and explore the hills. A moderate slope presents pleasant trekking routes, and the fort also has a little sightseeing. While monsoons can make the ascendance quite slippery, summers and winters are perfect periods to relish the cold, fresh air. However, the rains also bring with them beautiful waterfalls and glistening water reservoirs. Let this trek help you leave behind all your troubles and worries! 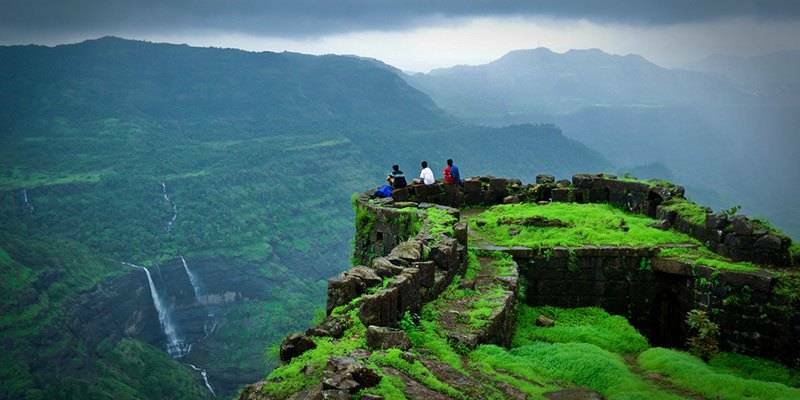 Nestled among the Sahyadri Mountains of Maharashtra, the Rajmachi Fort was built by Shivaji in the 17th century. The trek isn’t too strenuous, passing through jungles and slopes. Trekkers can witness the beauty of the hills and their natural flora and fauna while visiting the two fortifications of Manaranjan and Shrivardhan at the peak. 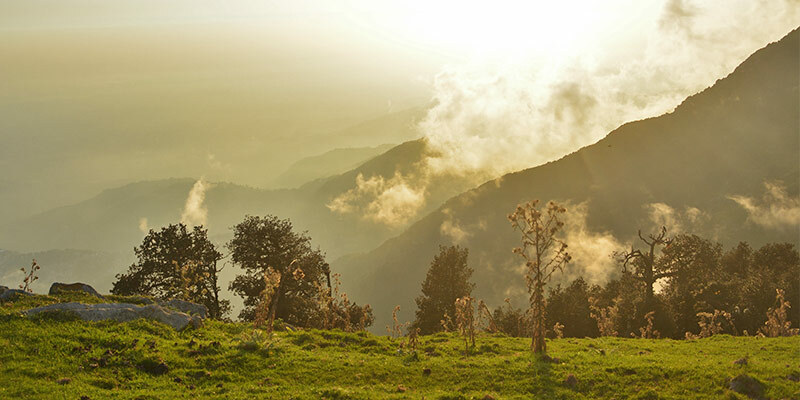 The trek also offers picturesque views of the valley below, leaving you in awe of nature’s splendor! Perfect for adventure seekers, the trek to Visapur Fort is more than just an ordinary trail. Hindered by large boulders and bushes, the route poses a challenge to those who wish for a simple hike up. 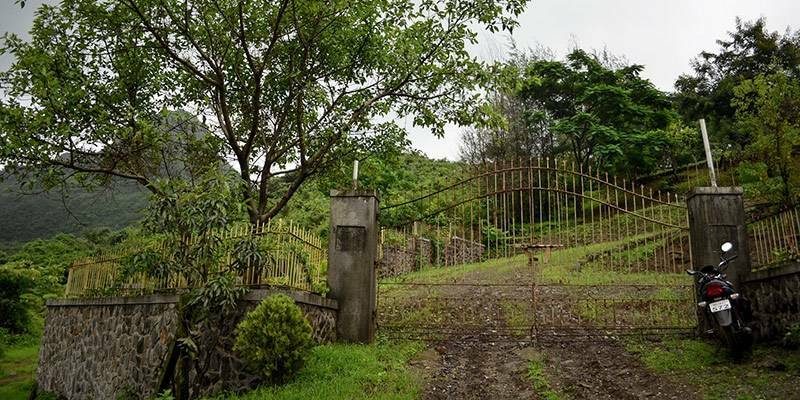 However, the lands around the ruins of this fort are peaceful and surrounded by greenery, especially during monsoon. 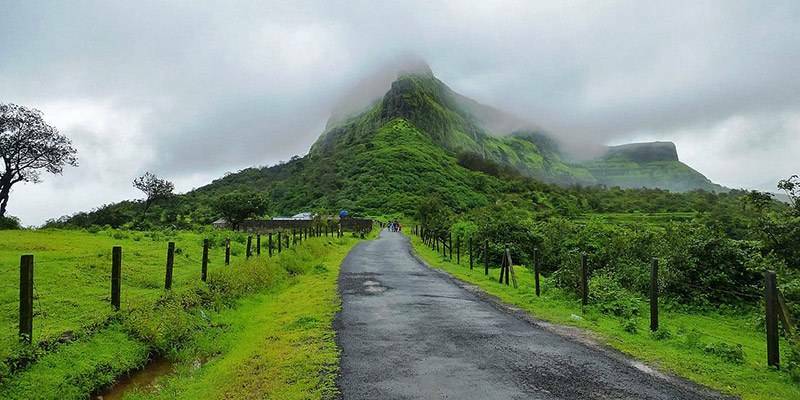 Easily accessible from the Mumbai-Pune Highway, this trek is an ideal getaway destination to complete in one day. 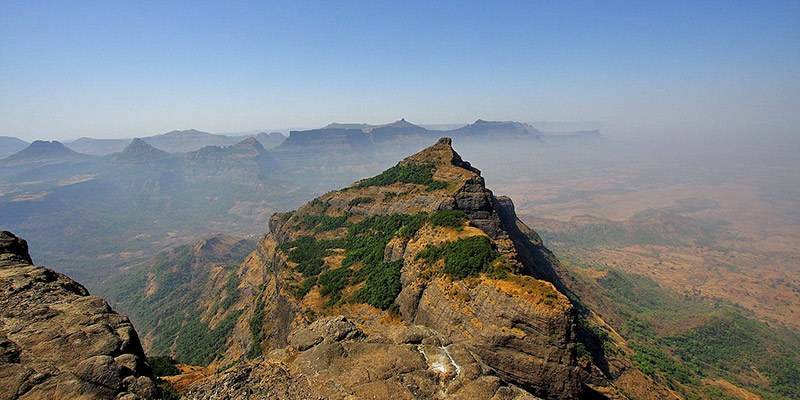 A daunting trek uphill, the Harishchandragad Fort offers spectacular views of the Konkan. 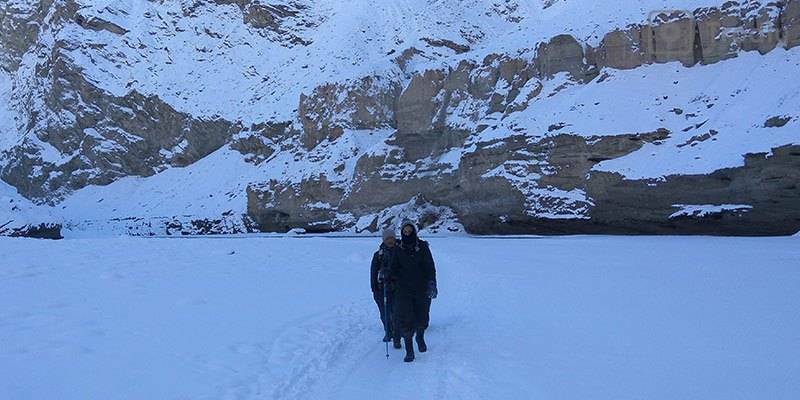 This trek is famous among those who wish to take up a slightly more challenging trek, passing through rocky patches, forested areas and steep climbs. The fort has many caves where trekkers are allowed to set camp for the night. The temperatures get low during the night, so lighting a campfire and relishing the silence of the hills is a magical experience. 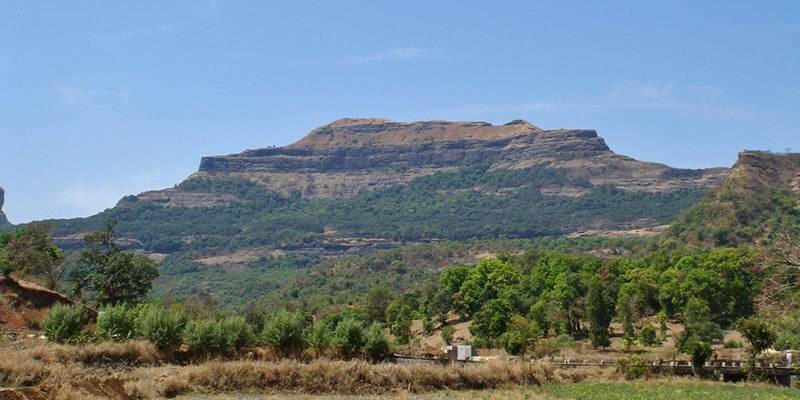 Torna Fort is one of the best forts in Pune and is popular among campers. The directions to the fort are simple, however, the path is characterized by steep slopes, slippery patches, and rocky areas. The trek poses an exciting challenge to the enthusiasts, who can camp overnight at the fort after the 4-hour journey. Monsoons in Torna are rough, making the trek extremely difficult, hence one must try visiting here during the winters or summers. Situated in the heart of mysterious jungles, the Jungli Jaigad Fort provides a thrilling trekking experience. Trekkers have to pass through forests infested by wild animals and birds, making camping overnight too dangerous. However, Jaigad is one of the most beautiful forts to visit, especially since the surrounding areas are sure to take your breath away. Those who take up this trek are sure to be left astounded and enthralled by the excitement and eeriness of the jungles. Embellished with moss and old structures, the Raigad Fort yet radiates the magnificence of the Maratha Empire. The fort overlooks the picturesque Sahayadris, veiled with featherlike clouds and mysterious fog. There is a definite trekking route to the fort and visitors can also camp overnight in tents or at the MTDC resort. However, the trek back and forth can be completed within a day as each journey takes around 2.5 hours. The historically important Ratangad Fort lies near the Bhandardara Dam in Maharashtra. An extremely scenic area, the fort provides breath-taking views of canyons, hills and untouched nature. 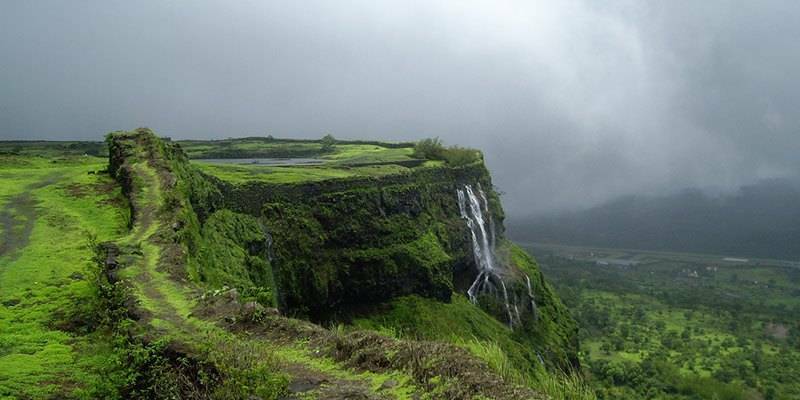 Monsoons at the fort are beautiful as the hills are characterized by lush, green vegetation and tinkling waterfalls. The trek is moderate, and you may encounter some aggressive monkeys. The climb leads up to a natural rock peak with a fascinating cavity at the top where you can stop to admire the nature or take amazing photographs. 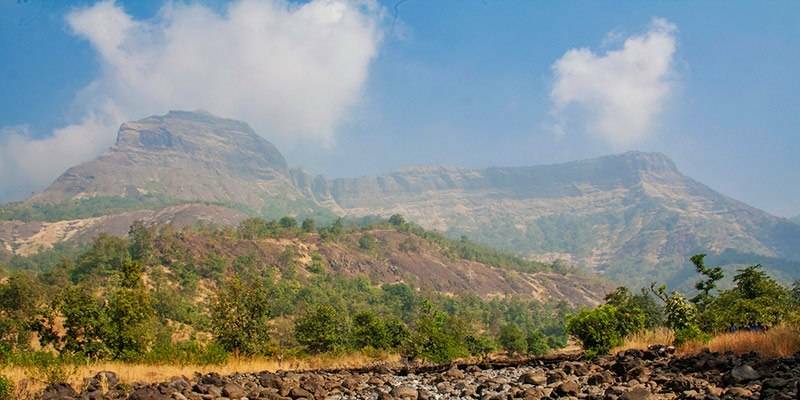 An exciting jungle trek, the route to Vasota Fort in Satara will bring out all the excitement of the trekkers. To reach the wildlife reserve, one will have to take a ferry past Shivsagar Lake. Unusual in its own sense, the fort is surrounded by dense jungles and blossoming flora. Trekkers often encounter wild animals like sloth bears, wild cats and leopards, hence, it is best to visit the fort with a large group. Due to the long walking hours and dense jungle patches, the trek tends to get difficult, especially during the monsoons. 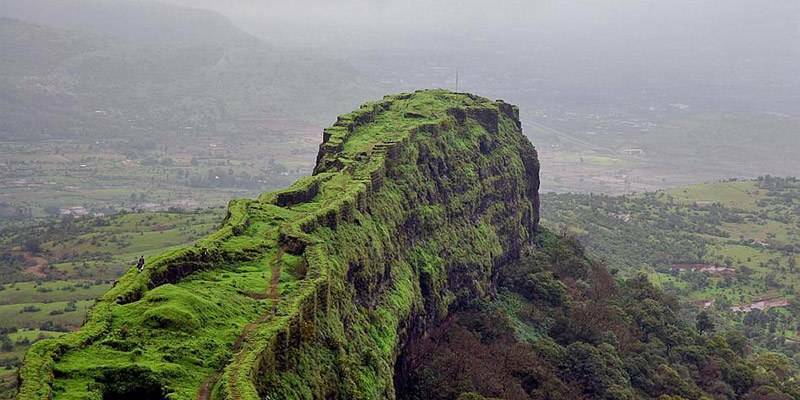 Korigad Fort is a striking hill fort situated near Aamby Valley. An extremely easy and pleasant climb will take you past jungles and gentle slopes, to eventually reach the remains of what once used to be a majestic fort. Famous structures at the fort include caves and small lakes that are full around the year. 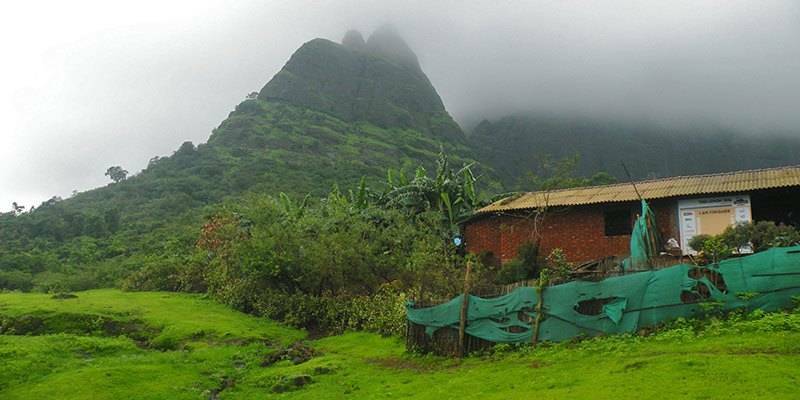 Korigad also offers scenic views of the valley below and is an apt location to set camp overnight. However, the trek is short and can also be completed within a day’s time. 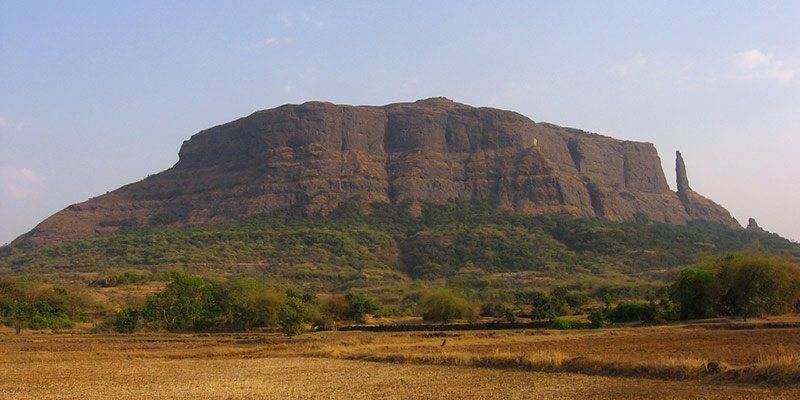 A paradise for rock climbers, a haven for trekkers – Mahuli Fort Trek ensures the experience of a lifetime. Situated in the Thane district of the state, Mahuli Fort stands tall on a lone hill which is characterized by cols and pinnacles. The trek to the top includes a walk past stony ridges, rocky climbs and jungle walks. The journey is exciting, especially during the monsoons when flowers and greenery are blooming all around. 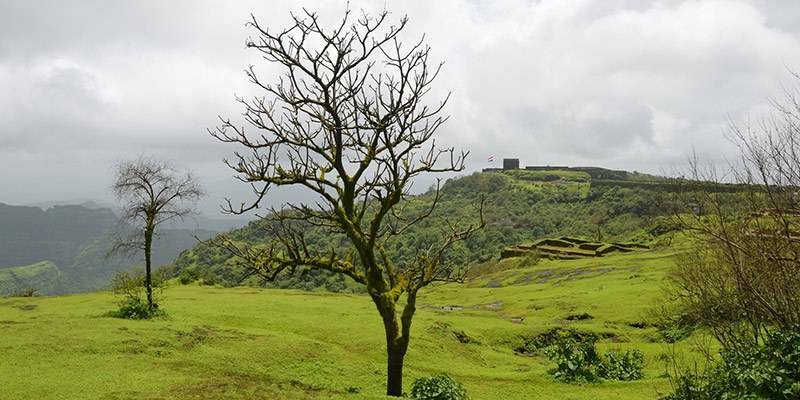 Perfect for a one day adventure, Mahuli Fort Trek simply cannot be missed! 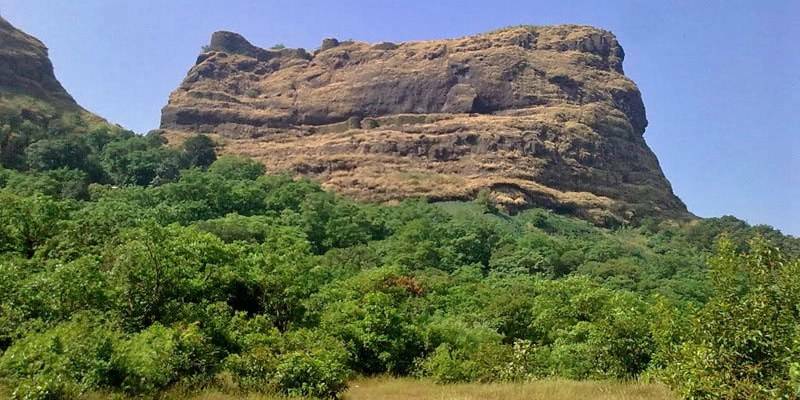 A fun one-day trek can be undertaken at Sudhagad Fort, especially with a large group. The trek is simple and easy, taking just a short while to finish. The path is laden with lakes, enhancing the beauty of the surroundings. The best part of the trek is the breath-taking views it offers of the hills and valleys all around. The fort itself has a few beautiful ruins which make picture perfect shots. A place of unique historical importance, Raireshwar Fort is where Chhatrapati Shivaji Maharaj took the oath of Swaraj. The trek is easy and gentle, with a well-defined walking path. Summers tend to get extremely hot, but winters and monsoons at Raireshwar are a complete delight. The trek can be combined with visits to Kenjalgad and Rohida, including a fun camping experience. Popularly known as the ‘Everest of the Sahyadris’, Kalsubai Peak is the highest peak of the mountain range, providing stunning views of sunset, waterfalls, valleys and clouds. The trek is popular among trekkers and pilgrims who visit the Kalsubai Temple at the top. 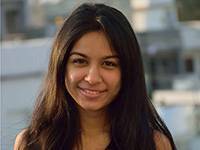 The journey is extremely pleasant, passing through rice paddy fields, rocky patches, and open grassy fields. The best time to visit is during monsoons when cool air, misty clouds and tinkling waterfalls enhance your trek. 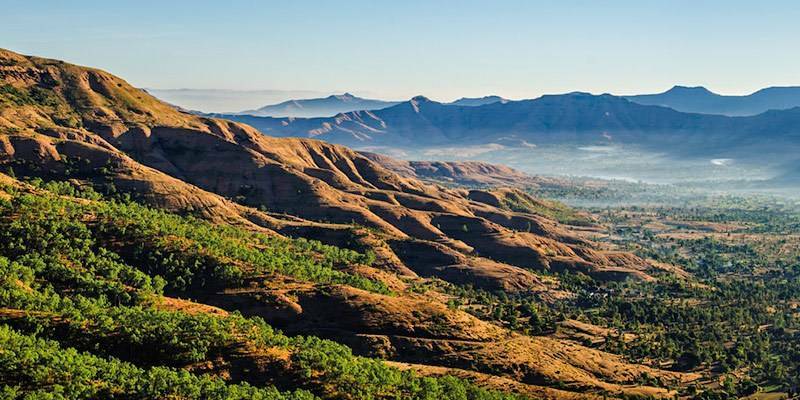 A beautiful hill fort located near Kamshet, Tikona provides a pleasurable trekking experience. While most of the route is gentle and easy, certain parts may require almost vertical climbing as the fort is triangular in shape. Ruins of old structures, arches and gateways can be seen at this small fort, which also offers stunning views of the surrounding area and the nearby Pawana River. Ghangad Fort is nestled among the Tamhini Ghats of Maharashtra. Popular for its camping grounds, the fort offers an easy trek to the top. Ladders are also present to escape rocky patches, making the trek comfortable even for novice trekkers. The fort has an amazing open space for camping, where cool winds and fresh air fill up the atmosphere. Plenty of caves provide shelter in times of heavy rainfall or strong winds. Ghangad is incredible for overnight camping! 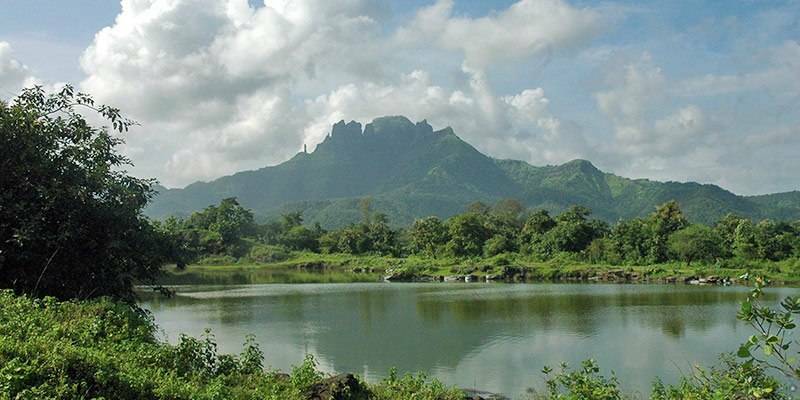 Best for experienced trekkers, Kulanggad Fort provides the ultimate trekking experience. Characterized by 70⁰ climbs, loose soil, rocky patches and dense shrubbery, the ascendance is difficult. 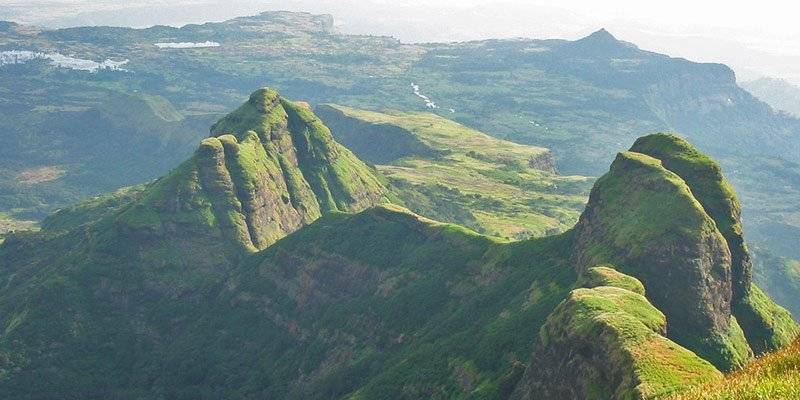 Midway through the trek is a beautiful plateau which offers lovely views of the Sahyadris. The fort itself has no major historical relics, but the caves provide great shelter for camping overnight. Natural tanks around the fort store potable water from which trekkers can drink or even have a cool bath! This trek is an ideal one to get the adrenaline pumping and leave behind all the worries of the city. Sandhan Valley is popularly known as the ‘Valley of Shadows’ for the enticing experience it provides. A mixture of rappelling, pool crossing and trekking, the journey through Sandhan Valley is sure to be exciting and eventful. The narrow path is surrounded by rock structures that are about 300 feet high, darkening the pathway and making it more mysterious. Camping here is also possible. However, the valley should not be visited during the monsoons. 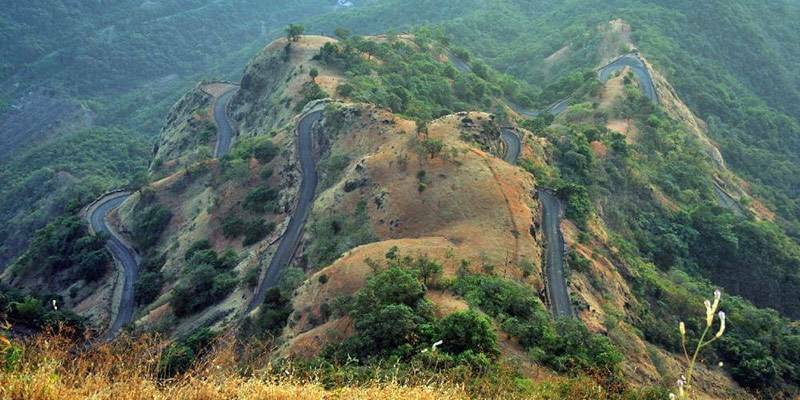 Naneghat is a mountain pass in the Western Ghats that was earlier a popular trade route of the Satavahana Empire. 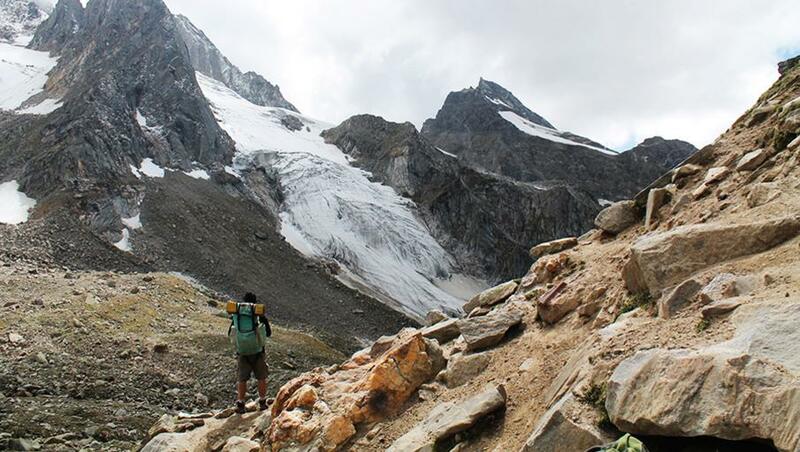 The pass now provides an exciting trekking route, along with relics of the days gone by. The trek starts in a forest where an array of birds and butterflies can be spotted. Further ahead, trekkers can visit the old caves which yet hold inscriptions of the bygone empire. Though the route does not contain too many challenges, the walk is long. 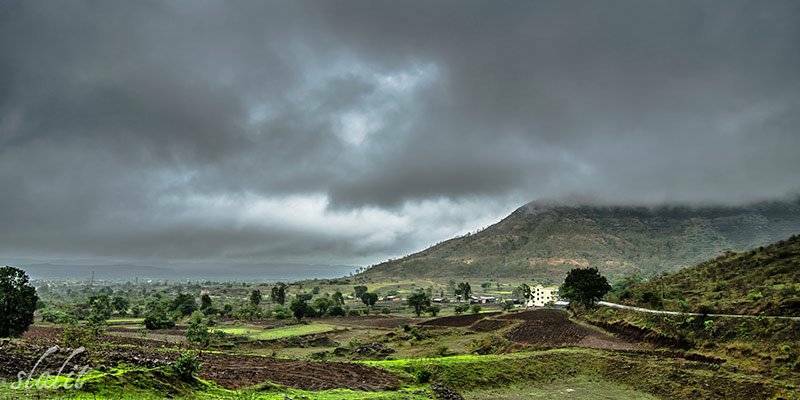 Hence, it is best to visit Naneghat during the monsoon and cooler months.